Buying dental insurance is the best way to keep your smile healthy and beautiful for life, but it’s not enough to simply find affordable dental insurance—you should consider which plan would best fit your lifestyle and budget. Before you buy, understanding how dental insurance works and what typical plans cover is essential. Even full coverage dental insurance has limitations. Here are several things to consider before buying or using your dental insurance. 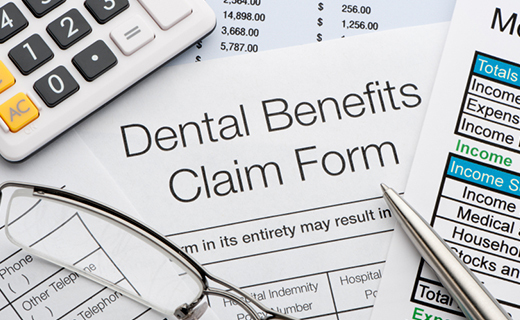 Dental insurance rarely pays the entire cost of treatment. You may have to pay out-of-pocket expenses or a co-payment. In many cases, you’ll also have a yearly deductible that you’ll have to reach before the policy covers anything. Preventative care such as cleanings, sealants, x-rays, and general exams are typically covered at 80 to 100 percent. Major dental work may only be covered at 50 percent. Most dental insurance plans have a yearly maximum ranging between $1000 and $2500. Some treatments, such as cosmetic procedures and implants, may not be covered. Here are four ways to get your money’s worth from your full coverage dental insurance plan. Obtain coverage for your entire family. In the long run, you’ll save money by adding everyone. Take advantage of free preventative coverage. Early detection of problems prevents expensive treatment later. If you have children, be sure your policy includes orthodontic coverage. Be sure that your dentist participates in your PPO dental plan. What annual and biannual preventative services are covered? Am I allowed to choose my own dentist? Is my coverage limited to the cheapest available treatment options? Can I schedule appointments at my own convenience? How much will I pay for services, office visits, and procedures? Not every dentist accepts insurance. You can obtain a pre-treatment estimate to determine cost and check coverage. If you don’t meet your yearly maximum, it doesn’t roll over to the next year. Know whether your policy is considered a preferred provider organization (PPO) or health maintenance organization (HMO) plan. Different dentists accept different types of plans.